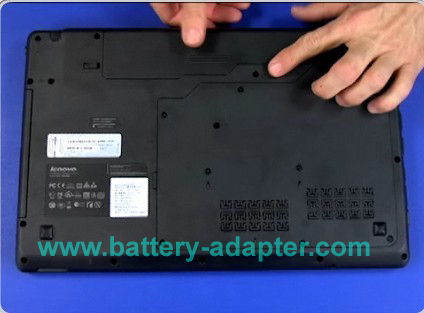 The laptop in the guide is Lenovo Ideapad Z565, if yours is Ideapad Z560, it should be similar. 1. 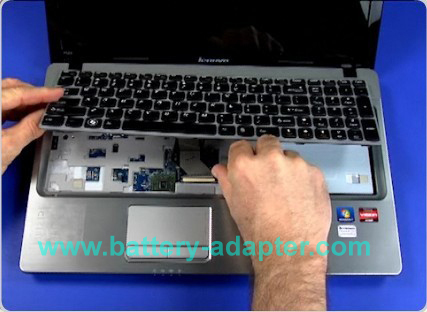 Turn off your laptop Lenovo Ideapad Z560 Z565, disconnect the the AC adapter and remove the battery. 2. Remove these three screws. Next to each of the screws is a small sketch of a keyboard etched into the plastic casing to help guide you. 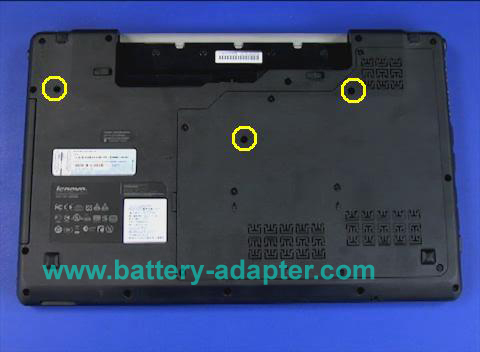 3 Now, open you laptop, release the keyboard from the top edge. 4. 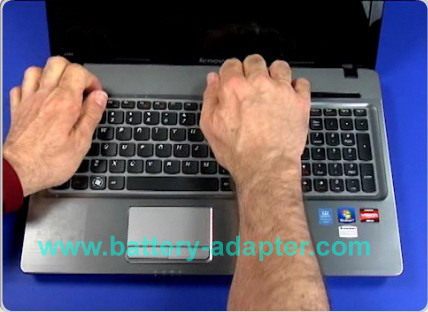 Lift up the keyboard a little and unlock the keyboard cable from the motherboard. To do this, simply lift the lockdown clip approximately 90 degrees. Now, you can remove the keyboard. 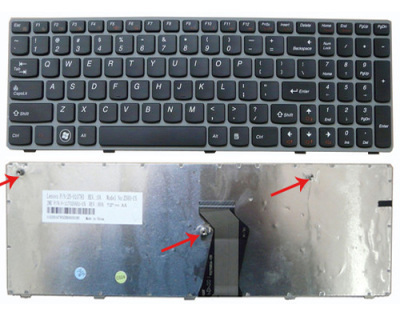 Reverse the procedure to install your new Lenovo Z560 / Z565 keyboard.